The tropical cyclone Idai which left a trail of regrettable destruction in Manicaland exposed the nefarious attitude of the diamond companies operating there it has emerged. In as much as they may have done some development work , one has to be more analytical as to the quantum of their contribution towards the cooperate social responsibility(csr) versus what they are getting from mining diamonds. For so many times we hear that they are undertaking projects to assist communities. These are the people who are prone to indicate left when in actual fact turning to the right. They must have mastered the art of misleading the nation on the efforts being made to the communities. Although it was imminent that the cyclone was going to hit Manicaland, it is the state of preparedness that leaves a lot to be desired. The approach by the state and diamond companies was rather too lackadaisical. For instance some diamond workers in Chimanimani had to resort to staying on top of mountains without food and warm clothing due to flooding. Zimbabwe Diamonds and Allied Workers Union (ZIDAWU) once indicated in their previous report that workers in Chimanimani were living in squalid conditions and it seems it fell on deaf ears. Accommodation crisis looms as Ngangu settlement was virtually swept away by the floods. It remains a mystery why the Odzi bridge in Chiadzwa has not been given a face-lift especially after carrying all the machinery and equipment of more than 6 companies that operated in Chiadzwa. This is the very bridge that claimed the life of Headman J. Chiadzwa some years ago after having a headon collision with an Anjin mine staff bus. 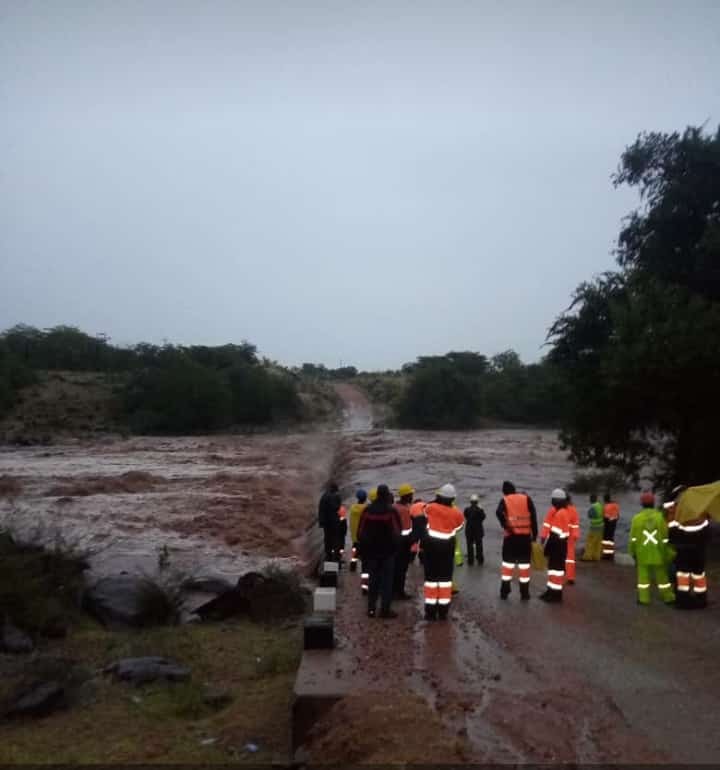 The cyclone Idai nearly swept the Odzi bridge thereby isolating Chiadzwa community from the rest of Manicaland for almost two days.This bridge was built before Zimbabwe independence and it was meant for a sizeable number of the then remote Bocha people. Companies like Anjin, Mbada diamonds, Jinan mine, kusena diamonds, Dmc and Marange Resources used this low lying narrow bridge to carry machinery and equipment worth millions of dollars but they forgot to attend to the bridge. These are the companies who failed to remit any meaningful taxes to the treasury when they were operating. Former Finance Minister Hon T. Biti and subsequent ministers of finance complained about these companies not paying any royalties to state coffers. It came not a surprise when Sakubva Marketing Stall in Mutare was swept by Cyclone Idai during the weekend. This is the project which many civic society organizations raised alarm on the way Tender procedures were held by City of Mutare and Zimbabwe Consolidated Diamond company (Zcdc). It maybe not a shoddy job but surely they could have done better than what they did. Recently ZCDC bragged about their ‘benevolence’ to Marange Community. This included the 5 million bond dollars donated to Zimunya Marange Community Share Ownership Trust, 25 boreholes and repairing some schools and clinics. Although what they have done is commendable, it is the issue of prioritisation of projects that is a cause of concern. In most cases the intended beneficiaries complains of not being consulted prior to the commencement of the projects. As a way forward, the companies should work closely with communities and stakeholders. This will remove the animosity amongst communities resulting in them failing to own up projects when they are introduced to them. No one should be left out in terms of socio-economic development as we are all partakers to the National development. Diamond companies should not elbow out other stakeholders as they can assist in identifying priority areas to be attended.